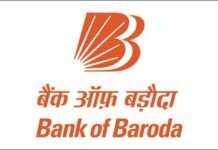 Bank of Baroda Senior Relationship recruitment 2019 – Bank of Baroda recruiting candidates to fill their Senior Relationship Managers job in All over India. Aspirants are requested to go through the latest Bank of Baroda job notification 2019, Before applying to this job. This is the best opportunity for the job seekers who are looking for the Bank of Baroda Careers. applications are collected by online mode, through bank website https://www.bankofbaroda.com/. 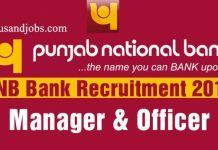 Bank of Baroda inviting the Senior Relationship Managers job applications by online from 08.03.2019. Interested candidates can apply for this job easily. Do not miss the wonderful opportunity in Bank of Baroda. 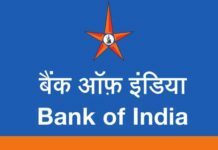 The complete details of Bank of Baroda latest job notification 2019 has been given below. The job hunters are requested to read below the job selection process, eligibility, salary, age limit and application fee here. For more accurate information on this Bank of Baroda job notification, check their official website. Bank of Baroda has invites 100 Candidates to fill their vacancies. Please check their vacancy details below. As per the recent Bank of Baroda notification 2019, It is very important to check your qualification for this job. 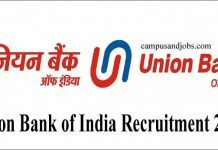 Here below you can find age limit and educational qualification for Bank of Baroda SRM job 2019. • Graduate from Government recognized University. Preference will be given to MBA. Minimum 3 yrs of exp. as a Relationship Manager in Wealth Management . Minimum 8 years of experience in Wealth Management as a Team Lead. To apply Bank of Baroda job, the candidates required below mentioned age limit. check the age limit details below. Please kindly check the Bank of Baroda official notification 2019 For more information. To apply for the Senior Relationship Managers job in Bank of Baroda, candidates requested to pay the application fees by online/offline mode. application fee payment details are given below. Bank of Baroda select the candidates by the following process. For more information check the official website. go to Relationship Managers notification link in careers/detailed Advertisements. Download pdf or view the official notification in their website. 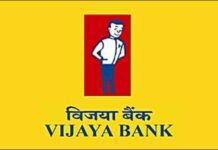 Check your eligibility to Bank of Baroda Recruitment 2019. Create your registration on Bank of Baroda website and Fill all correct details. please check the details are correct and accurate once again. Take print your submitted application for future use. The below important dates need to be remembered by the candidates.